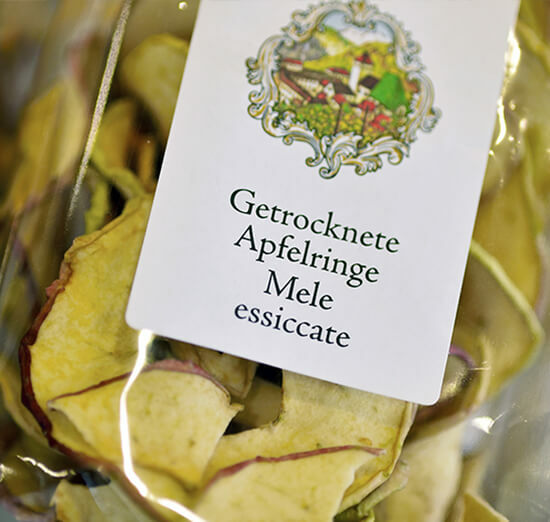 The Grappas, dried apple chips, and herbal tea infusions from Abbazia di Novacella are then used to make many additional specialties of the same proven quality. Our naturally clouded apple juice is made entirely from apples grown in the monastery’s own orchards. The fruit is picked fully ripe and pressed immediately. The juice is stabilised by flash-pasteurisation, a process which preserves its natural fruit aromas and intense, tangy flavour. 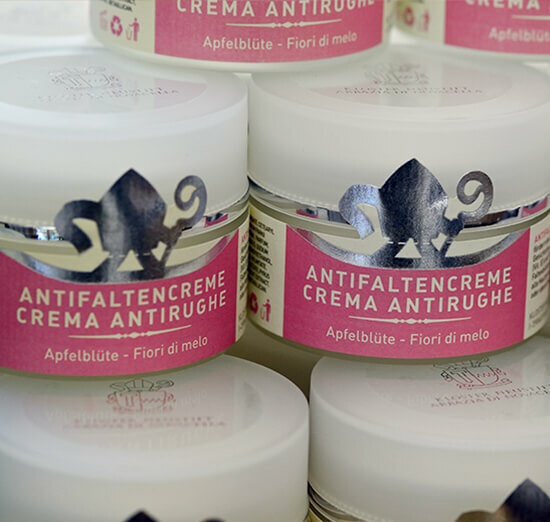 This apple blossom cream furthers the facial ski’s elasticity and tautness. Ingredients including tocoferol (vit. E) and Prunus Malus (apple tree) extracts reduce wrinkle formation and wrinkle depth. This cream is suitable for all skin types and should be applied to cleansed skin in the morning and/or evening. 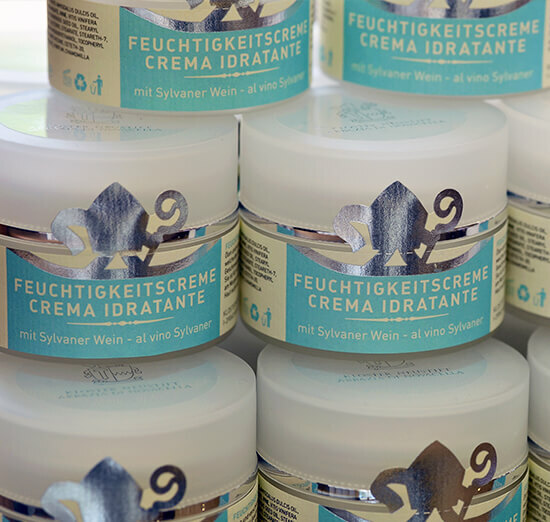 Rich in oils and various grape extracts which impart new freshness, softness and elasticity to the face skin. It is suitable for all skin types and should be applied to cleansed skin in the morning and/or evening. This tea mixture is based on an old recipe from the Neustift monastery apothecary. The herbs are carefully dried and stored. Recommended measure: 1 teaspoonful of herb mixture per cup. Preparation: put the desired amount of tea mixture into a cup or teapot, pour in boiling water and allow to draw for approx. 5 min. To enhance your enjoyment, savour from fine porcelain or clay crockery. These Grappas are distilled from grape skins deriving from fully ripe and absolutely healthy grapes grown in the Neustift estate, grape skins which yield single grape brandies characterised by clean, pure, clear-cut varietal character. Abbagnac Grappa is a marc brandy distilled from a mixture of selected grape skins from the Neustift monastery winery and matured for at least 6 months in oak casks. Cask ageing imparts a light tobacco colour to the brandy which is characterised by a fruity-complex bouquet and an especially multifaceted spectrum of flavours.